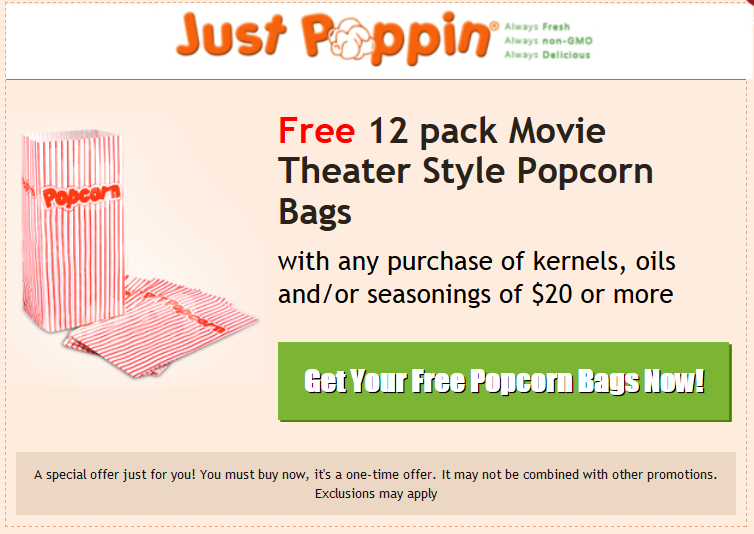 JustPoppin.com is the premier destination for gourmet and premium popcorn, selling hard to find varieties such as organic mushroom popcorn, hulless popcorn and heirloom kernels. A small, family-owned business based in Venice, Florida, JustPoppin.com is a favorite among discriminating popcorn connoisseurs, providing home poppers, small businesses, corporations, and everyone in between with the highest-quality, most flavorful popcorn possible. With a little help from 3dcart and Cart Closer, JustPoppin.com has emerged as one of todays leading and rapidly growing gourmet food businesses. Husband and wife, Jennie and Buck Smolow, started JustPoppin.com with an agenda: to provide customers with fun, happiness, and good health. Like many small businesses, the duo shares responsibilities, splitting tasks to match what each half excels at best. After finding initial success on eBay with just a couple products, the couple knew it was time to move full steam ahead with a dedicated website of their own. When JustPoppin.com approached 3dcart, it was with big goals and high expectations. Passionate about their product and dedicated to their customers, they needed an eCommerce platform that could grow with their business and deliver a consistently exceptional customer experience. Equipped with 3dcarts built-in features, tools, and excellent 24/7 Technical Support, JustPoppin.com was able to build a popcorn empire renowned not only for its amazing products and unparalleled customer service, but its website, too. Years ago, when we started seeing the same names coming through on orders ? repeat orders ? we realized we had hit on something special, said Jennie Smolow. It’s a combination of selling the very, very best quality products available, and a high level of customer service. But it wasnt just 3dcart that helped the popcorn business grow; they had a few third party tools working magic for them, too. JustPoppin.com turned to Cart Closer looking to reduce cart abandonment while protecting their margins. Cart Closer allows users to create perfectly timed offers that are displayed in real-time to shoppers when they try to abandon their shopping cart. A general campaign offering 5 to 10% off based on the cart value, with low-margin products excluded from the offer. A free gift campaign specifically targeting home users by using a filter on specific kernels, seasoning and oils products. The offer included a free 12 pack of movie theater-style, old-fashioned popcorn bags shown in a custom design. By offering a low cost free gift, JustPoppin.com has created a win-win situation for their customers and business. Just a short time after the offers went live, the business started witnessing more sales completed and an increase in revenue. In addition to preventing numerous instances of cart abandonment, Cart Closers mobile logic helped the website increase their number of mobile orders by roughly 40% in 2015. Justpoppin.com, Jennie and Bucks most important sales channel, is continuing to grow, winning over customers each day with their products scrumptious taste, unparalleled customer service, and blazing fast delivery times ? 99.9% of orders are shipped within 24 of hours of receiving them. Keep your processes simple to allow you to systemize as much of your business as possible. Provide good, useful information on your website so customers know what theyre buying before they order. Craving something sweet or salty? Explore JustPoppin.coms delicious selection of popcorn and seasonings at shop.justpoppin.com.